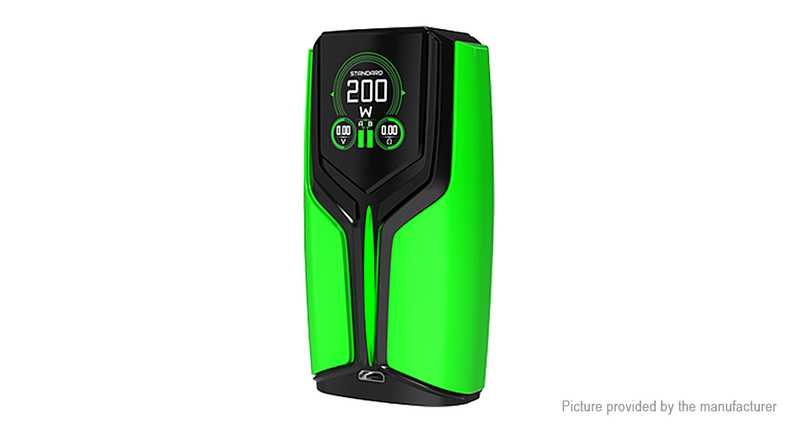 Co-designed with the renowned American brand Rig Mod, the Wotofo Flux Box Mod aims to redefine what “powerful” really means to vaping. Featuring a foolproof operation interface, this compact starter mod discards all confusing multi-menu functions including temperature control which is proven to be unnecessary. The Flux Box Mod is powered by dual 18650 batteries to give a max output of 200W. It resembles a medieval helmet in appearance and utilizes a fire bar instead of a fire button for the purpose of better grip and overall aesthetics.